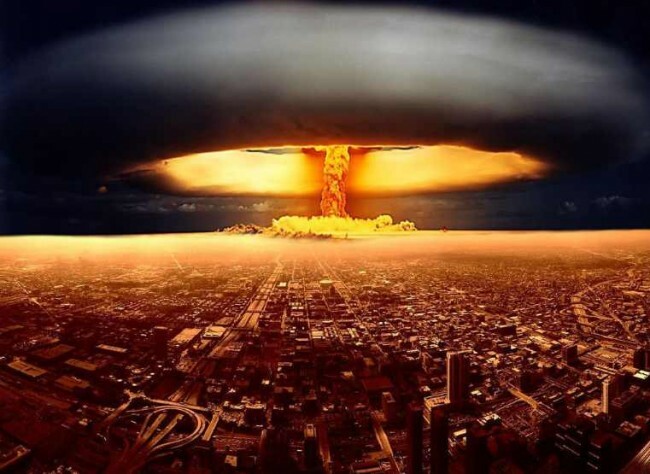 Dr. Paul Craig Roberts who is head of the Institute for Political Economy, predicts that the whole world will be at nuclear war. According to him, Russia and China will be blocked by The White House because they are the two leading countries in the amount of nuclear weapons and the countries refused to accept Washington’s hegemony. US is constructing naval and air bases to control the area of American National Interest and that is the control over the South China Sea. The purpose behind the Ukrainian crisis is for Washington to use it as anti-Russian propaganda. Anti-Russian propaganda led by the US has merged Russia and China into a strategic alliance. Dr Roberts adds that it is highly unlikely that Russia and China are going to accept the Washington’s hegemony, which seems to be the condition for world’s peace. He based his theories on the fact that America leads a foreign policy trying to impose its image of an incomparable and indispensable entity over other world’s countries which will unmistakably lead the world into war unless Europe finds a way to break free from Washington and NATO and starts a new and independent foreign policy. Russia’s celebration of 70th anniversary of the defeat of Nazi Germany, while the China’s president sat next to President Putin during the military parade, was a historical moment when President Putin had expressed gratitude to people of Great Britain, France and the United States of America for their contribution to the victory. On the other hand, Western politician decided to boycott the anniversary and only mentioned efforts of the US army. According to a research, 13% of surveyed Europeans consider that the Soviet Army played the main role, while 43% consider the US Army played the main role in liberating Europe from Nazism during WW2. The number of Russian fatalities compared to the sum of fatalities of the US, UK, and France serves as evidence that it was Russia that defeated Hitler. Part of the campaign to separate and estrange Russia, according to Sergey Ivanov, is to lessen the role Russia had in defeating Nazi Germany. It is evident that America along with their associates does not pay attention that Russia is sending the message that there is no need for hostility and that they are willing to become partners. Since Moscow and Bejing considered their two choices war or vassalage, it is up to Washington to make the right choice.